A book that I started this year and need to finish before 2017 ends. 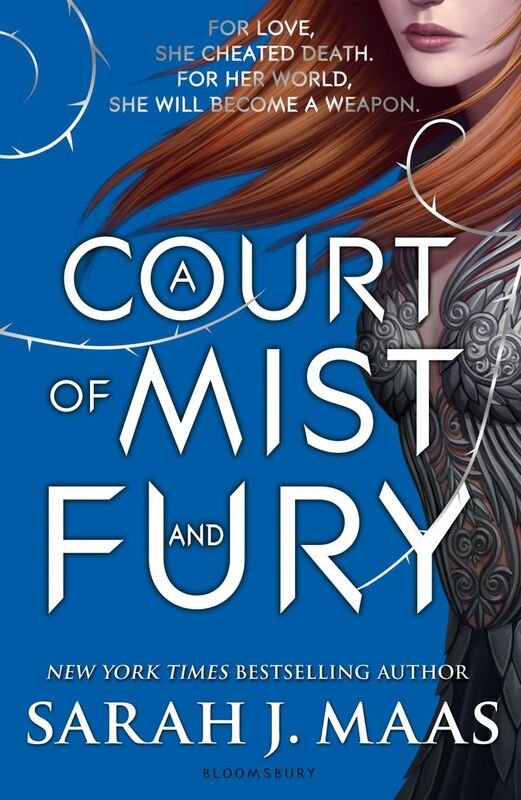 I started A Court of Mist and Fury by Sarah J. Maas back in may or june and I am still nowhere near to finishing it. But I really want to do so, and also get to A Court of Wings and Ruin befire the end of the year. Everybody gushes about ACOMAF and about Rhysand but I still need to get hooked. An autumnal book you plan to read in the transition to winter. I have so many choices for this one. There is A Great and Terrible Beauty by Libba Bray, which has been on my TBR shelf for quite some time. I should really get to this one in autumn. The second book I’d like to get to is Library of Souls by Ransom Riggs, I could finally finish the Miss Peregrines series. 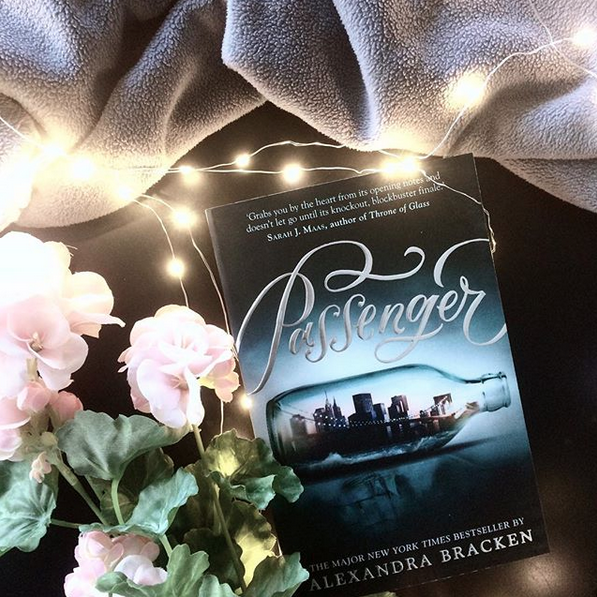 Passenger by Alexandra Bracken, Nevernight by Jay Kristoff, A Darker Shade of Magic by V.E. Schwab, Wolf by Wolf by Ryan Graudin and The Raven Boys by Maggie Stiefvater. And last but not least, I have a dark contemporary that would fit perfectly in the fall season; A World without You by Beth Revis. A new release you want to read. 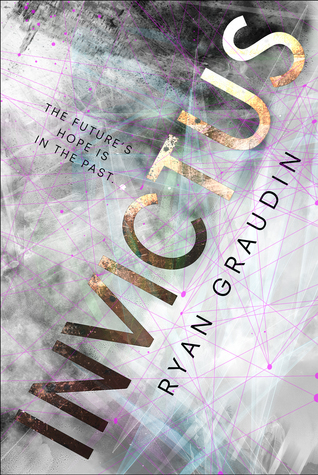 I am very intrigued by the concept, the title, the cover and basically everything of Invictus by Ryan Graudin. Since I adored We Were Liars, I am so curious. for Genuine Fraud by E. Lockhart. They Both Die at the End came out a few days ago, so it’s technically not a new release, but I am on a book buying ban, so I still have to wait for it, and I am very excited. 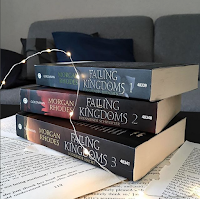 And German author Kerstin Gier’s new book Wolkenschloss (castle of clouds) is coming out in October and it takes place in Switzerland, where I live, so I could not be more excited. And last but definitely not least; Turtles all the Way Down by John frickin Green. I just saw John read the first chapter and I already got watery eyes. Three books you want to read before the end of the year. 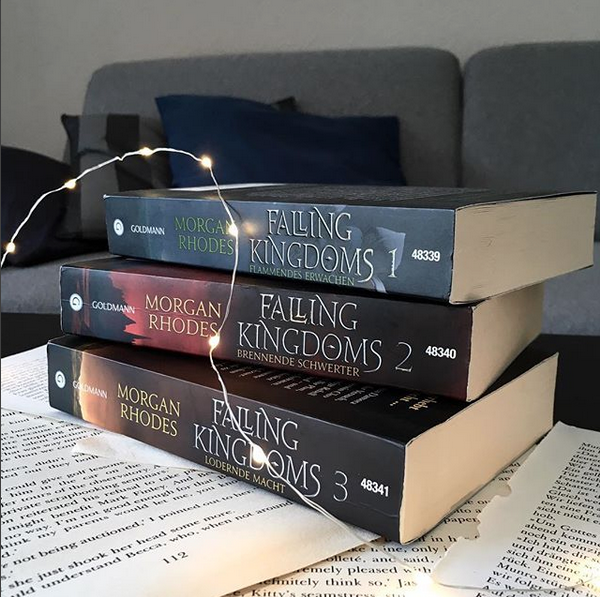 Frozen Tides by Morgan Rhodes, I loved the first three books, well basically I just adore Magnus. 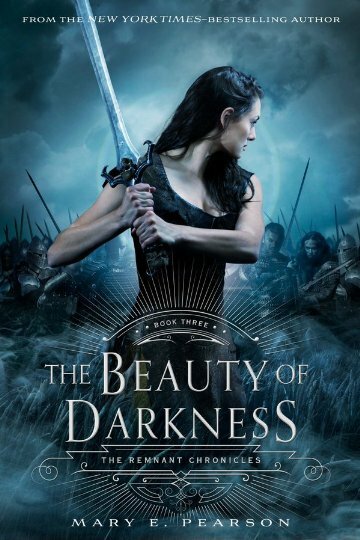 The Beauty of Darkness by Mary E. Pearson, this series is perfection. And The Trials of Apollo – The Hidden Oracle by Rick Riordan. I’ve read a chapter sampler and it was sooo good. A book you think that could still shock you and become a 2017 favourite. We have the obvious, Turtles all the Way down, and so many of the ones I mentioned above. 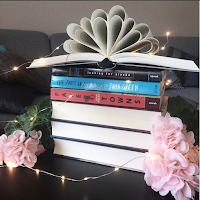 Do you already have reading plans for 2018? So that was fun, I hope you enjoyed it, too. If you like my pictures, check out my Instagram.